Let's start the New Year off with a bang! Maybelline has just come out with 7 lipsticks that have been tested on 50 skin tones. Yes you heard me correctly, 50 skin tones! 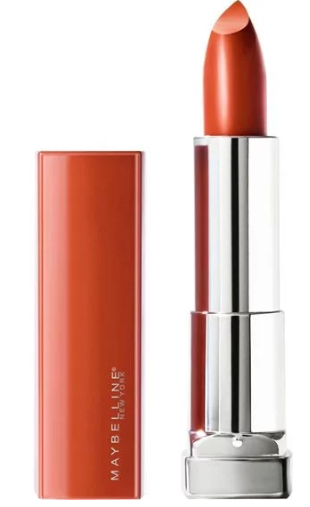 Maybelline ColorSensational MADE FOR ALL are 7 lipstick colors that are all beautiful basic shades which anyone can wear and have in your lipstick wardrobe. You will be able to wear without fear that these colors will not look good on you, because they have been tested on so many skin tones they are guaranteed to look great on you. The 7 shades are: Ruby For Me, Spice For Me, Mauve For Me, Pink For Me, Fuschia For Me, Red For Me and Plum For Me. These shades are available at Walgreens stores and there are $2.00 off coupons available at displays for you to get an extra $2.00 of each shade that you want to purchase. The colors are highly pigmented, come in satin and matte shades, look sensational on all complexions, were created using specially selected pigments, are universal colors that take the guesswork out of trying to select lipstick shades and contain honey nectar to help keep lips soft and smooth while wearing the lipstick. These lipsticks are available at Walgreens stores nationwide.